Waking up from a good dream just sets the day off right…unless, it is so wonderful you don’t want to wake up. 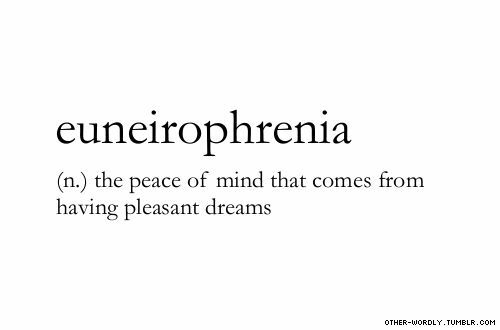 I had no idea there was actually a word for that feeling. This entry was posted on Saturday, July 5th, 2014 at 9:52 pm	and tagged with Seductive Vocabulary, Sweet Dreams, Words and posted in Words to Live By. You can follow any responses to this entry through the RSS 2.0 feed.